In the past days, spring has shown up in full bloom. I love to enjoy lighter, nourishing meals around this time of the year. This lentil salad is one of my favourite dishes for warm days! Seasoned with fresh lime and coriander, it has a nice cooling & refreshing effect. 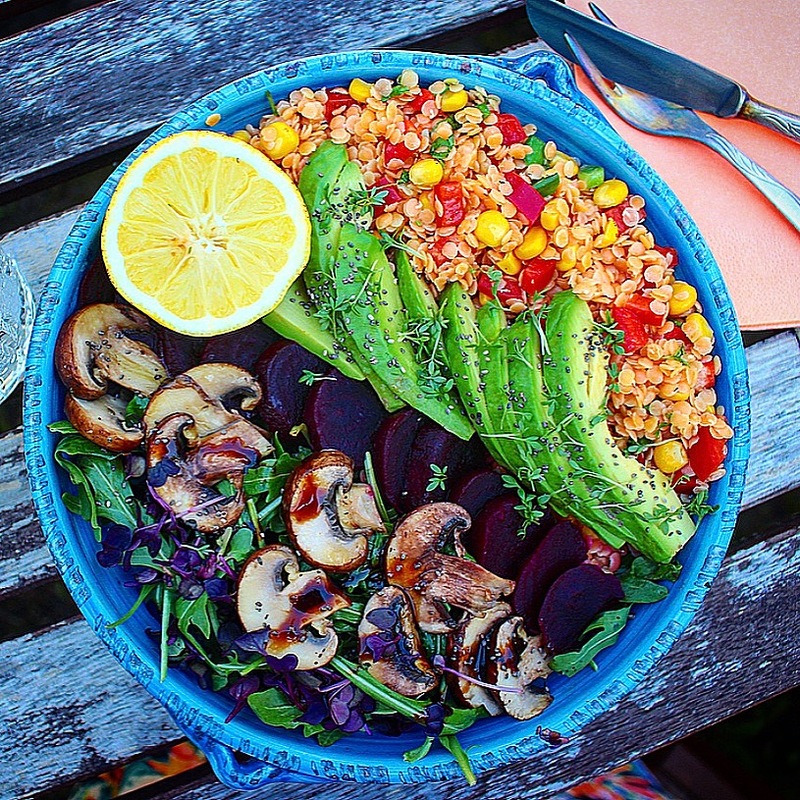 I combined the salad to a healthy “rainbow bowl”, inspired by the vibrant colors of spring! Cook the lentils in some water for about 5 minutes. Drain and let them cool down. In the meantime, finely chop one bell pepper, spring onion and fresh coriander. Use a big bowl to mix everything together with lentils and some corn. Season the lentil salad with salt & pepper, some curcuma, lime juice, vinegar & olive oil. Serve in a bowl with some arugula & brown mushrooms (quickly fried in olive oil) topped with balsamic vinegar, add some beetroot and sliced avocado on the side. As a finish, you can sprinkle some cress & chia seeds on top of the salad. Posted in Food and tagged healthy, lentil, lentil salad, lentils, Salad. Bookmark the permalink.